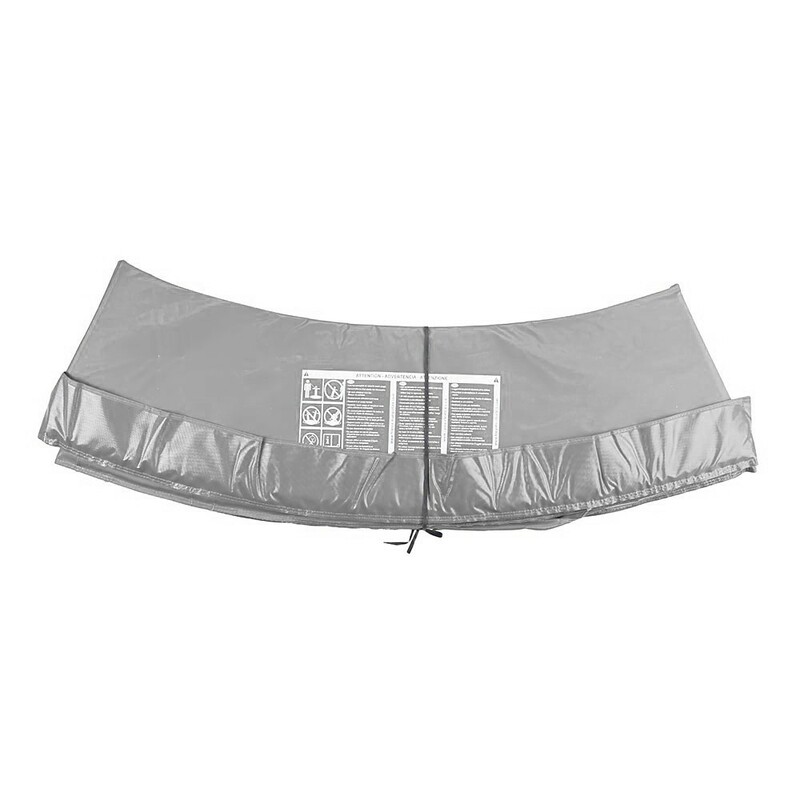 This grey frame pad will cover the trampoline springs of your 12ft. Initio 360 trampoline. An essential safety part, it will replace your old frame pad and you won't notice the difference, as it is identical! 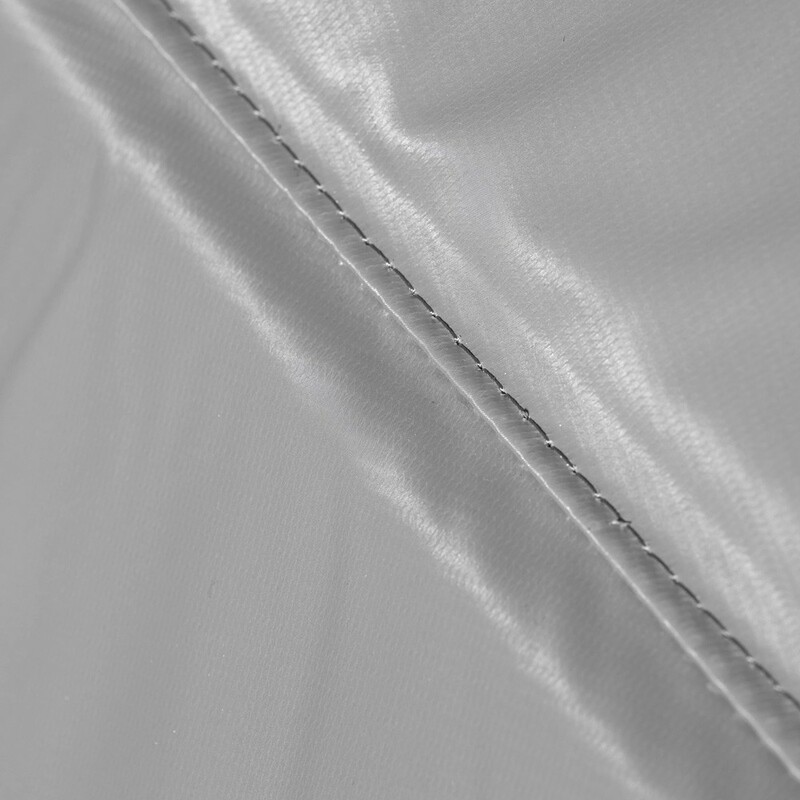 - 21mm thick: this frame pad is made from strips of 25kg/m² foam. 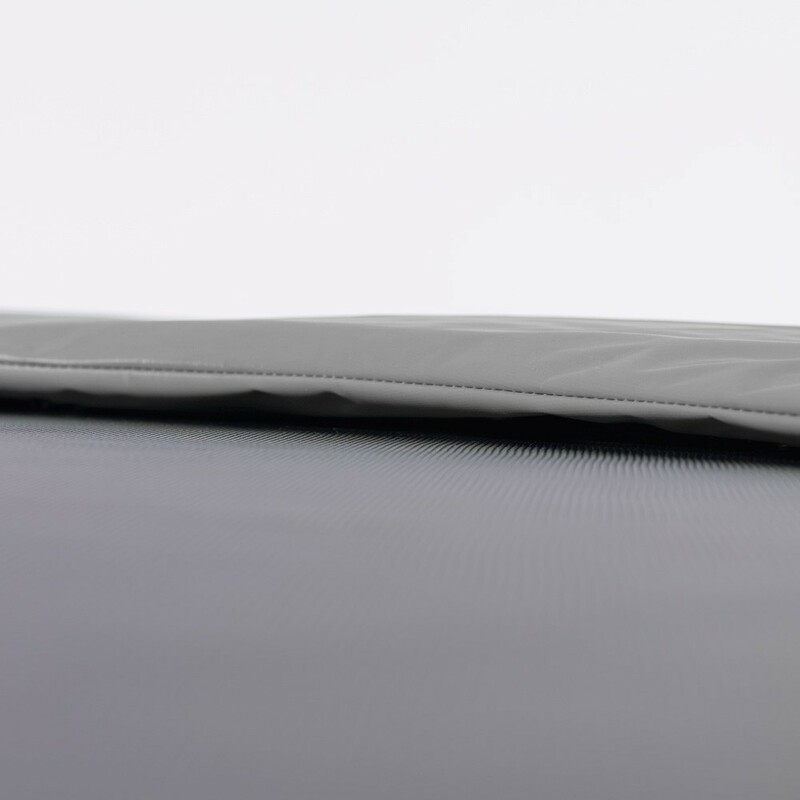 On its outside it is 21mm thick and 6mm on the inside, it will cushion any falls outside the jumping mat. 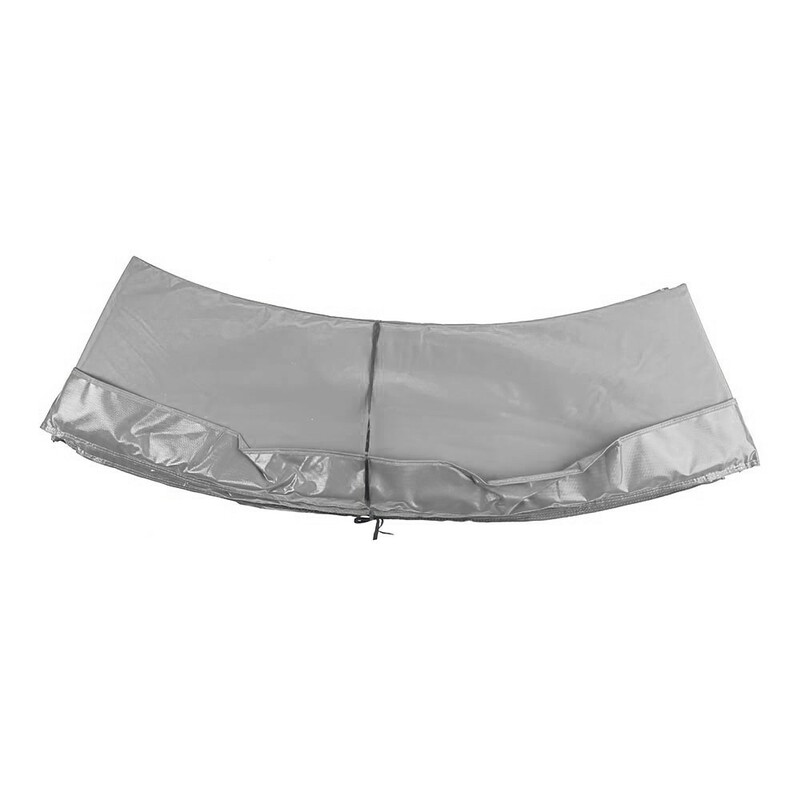 - Waterproof & Anti-UV treated: The foam is in a 100g/m² PVC envelope that has been treated against UV rays; This envelope guarantees a protected foam that will last throughout time being protected against moisture and sun rays. 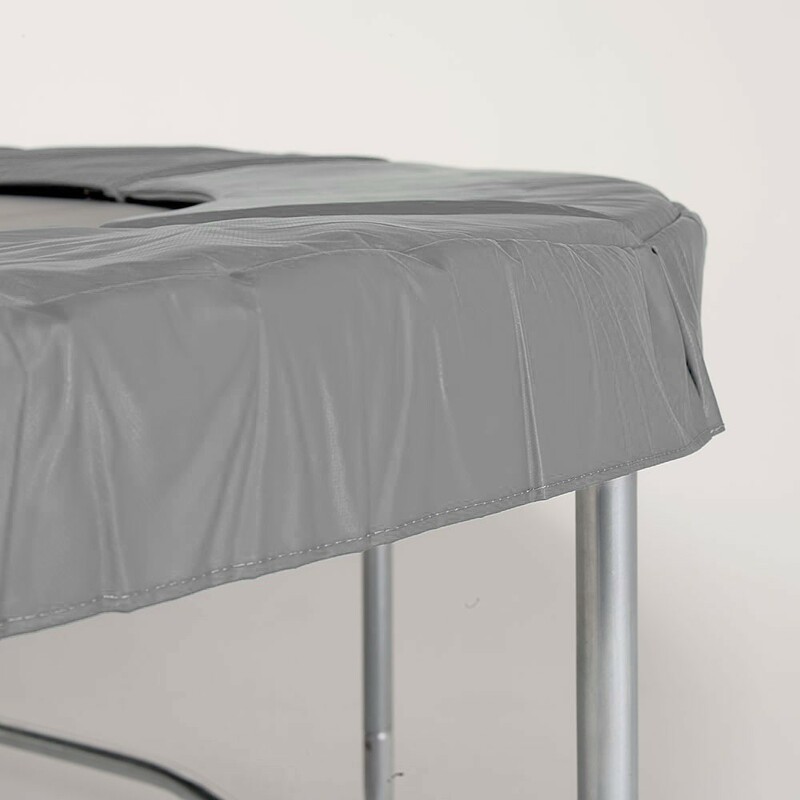 - Covers the entire spring area: Being 41cm wide, this frame pad completely covers the springs, preventing the user from coming in contact with them which could injure them. An additional safety guarantee! 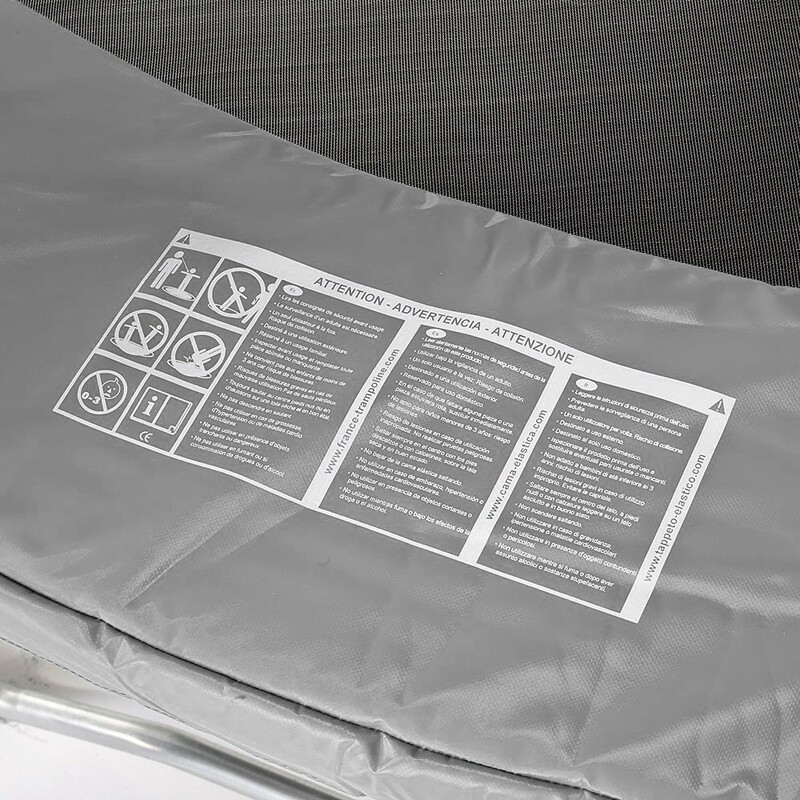 - Easy installation: with elastic cords that go around the trampoline frame.